Jhoola Festival is observed on the third day of the Shukla Paksha (waxing phase of moon) of Shravan Month as per traditional North Indian calendar. Jhoola Festival 2019 date is August 3. 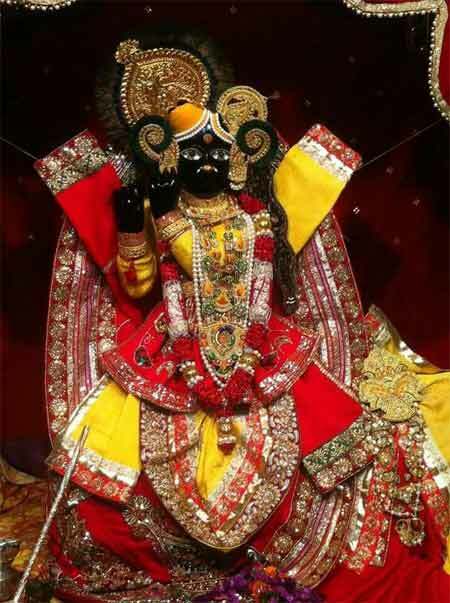 It is the traditional swing festival dedicated to Banke Bihari (Hindu God Krishna). The day is popularly observed as the Hariyali Teej. On the Jhoola festival day, the murti of Banke Bihari is placed on a swing in the courtyard of the Vrindavan Banke Bihari Temple. The festival celebrates the arrival of monsoon. Therefore Banke Bihari is decorated with green dress. Thousands of devotees arrive at the temple to witness Krishna swaying on the swing. Special dishes are offered as Prasad on the day. The ritual is known as Jhulan Yatra in eastern parts of India and is widely observed in temples dedicated to Krishna. But it is observed from Shravan Ekadasi to Purnima.